Valentine's day is just around the corner which means ideas may be needed. 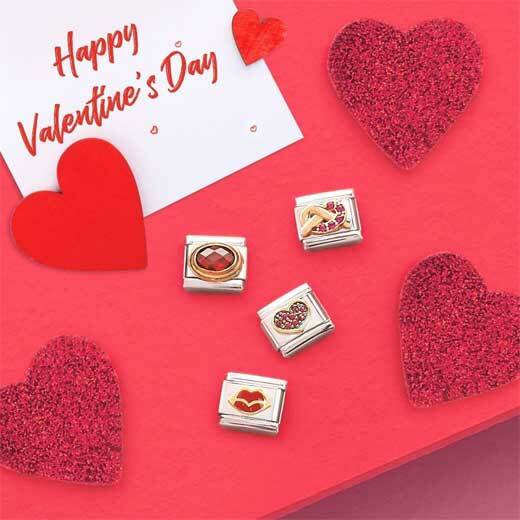 Whether you plan Valentine's day meticulously or it's always a mad rush this article has been designed to help you with gift ideas for her. Valentine's day is the day of love and is about celebrating that shared love between you and your partner. So why not choose her favourite products and let the celebrating commence. Jewellery, what woman doesn't love jewellery? A beautiful pair of earrings to go with that stunning dress? Or a statement necklace. Either way, jewellery is always a winner. 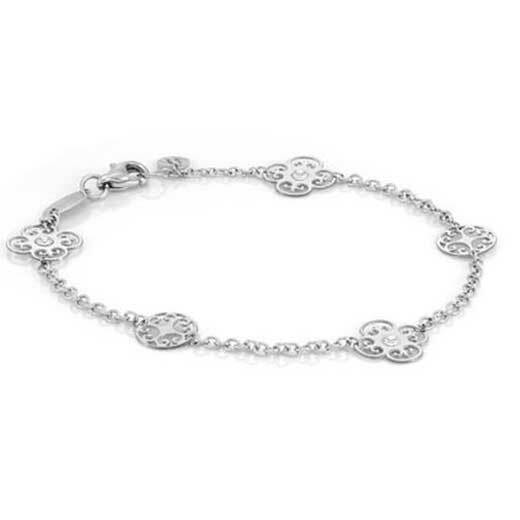 This dainty Nomination bracelet would make a perfect gift for a loved one this Valentine's day. Featuring a chain made of silver this bracelet has five delicate discs featuring Swarovski crystal for some added sparkle. This is another one of our beautiful bracelets. This fragile bracelet made out of 925 silver features three cut out star details for added design. Shop here for our bracelet collection. This unique ring features a geometrically shaped band that has one surface and one edge. This silver ring would be a perfect addition to your loved one's collection. 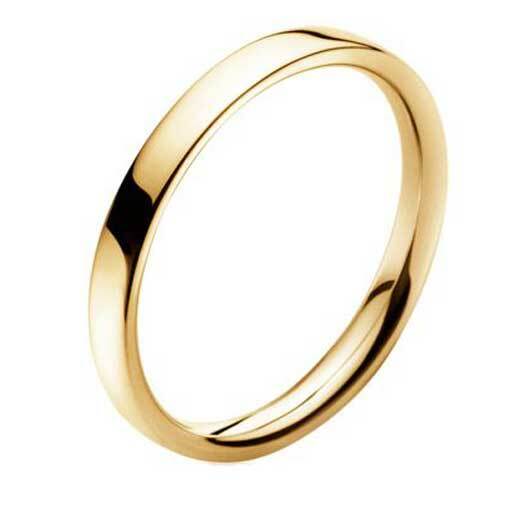 Made out of 18ct gold this Georg Jensen ring is a ring to be worn on special occasions or in everyday life. This gold ring can be dressed up or dressed down, however, you decide. Shop here for our ring collection. This necklace can potentially be linked with the 4810 Classic bracelet featured above. 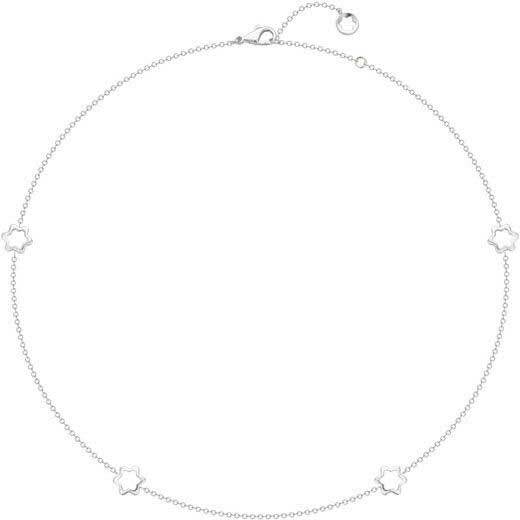 This necklace features a dainty chain with cut out stars around it. Perfect for special occasions. This Montblanc necklace reduced to clear! With 30% off how could you say no? 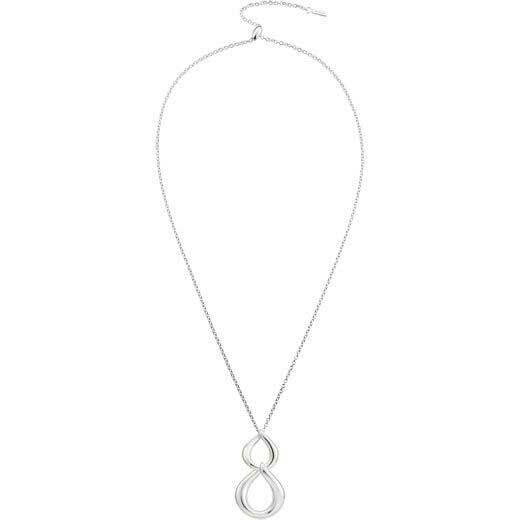 A dainty chain featuring silver double pendant this necklace will be perfect to wear when you're going out to dinner on Valentine's day. Shop here for our necklace collection. 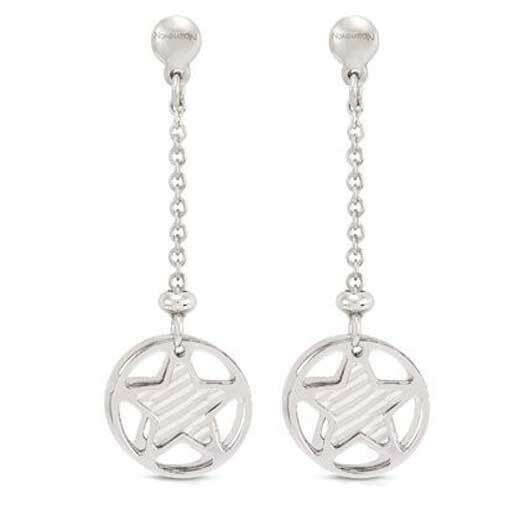 These earrings are also at 30% off so again, it would be rude not to buy them really. These heart-shaped earrings are part of the Emblem collection. 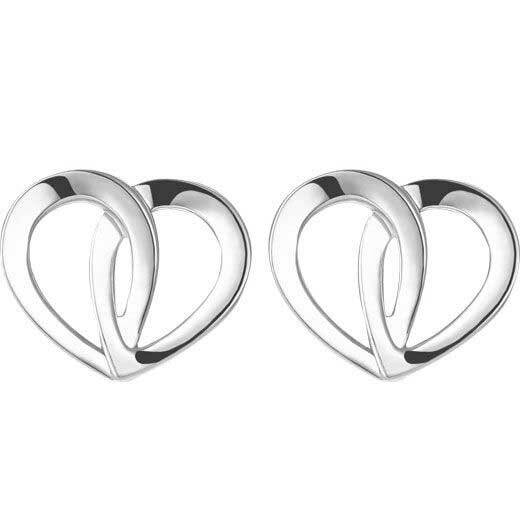 These earrings feature two petals in sterling silver intertwined to form the shape of a heart that symbolises the unbreakable bond between two lovers. These Nomination earrings would make a perfect gift for a loved one. These special earrings can be a statement piece to a formal occasion. Shop here for our collection of earrings. We carry a wide range of leather here at Wheelers Luxury Gifts, from handbags to purses to card holders we will definitely have the perfect gift for your special lady this Valentine's day. This Aspinal of London handbag is on sale. This Chelsea handbag is perfect for evenings out, maybe dinner or a party? This black handbag features a mock croc design giving it a sophisticated feel. 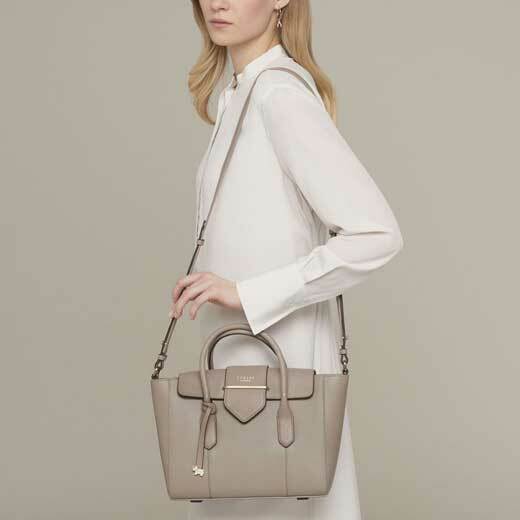 This Radley handbag is also on sale. This mink coloured leather handbag would make a perfect addition to your loved one's collection. This medium sized handbag would be perfect for everyday use. Clutch bags are always a necessity for a woman. Clutch bags are so versatile, they can be used when going out for lunch with the girls or a nice romantic meal out with a partner. 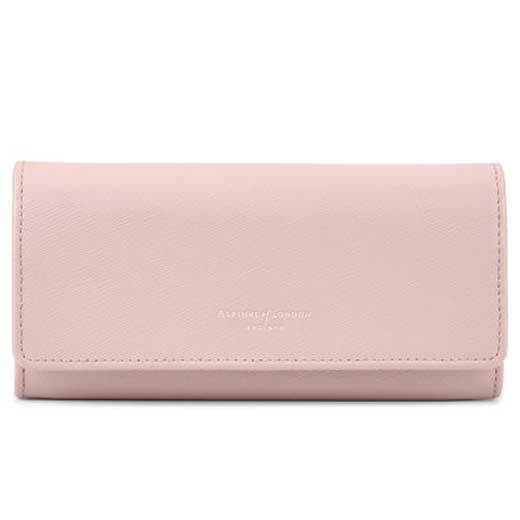 This white Radley clutch bag is perfect for both of those occasions & it's on sale, who doesn't love a bargain? 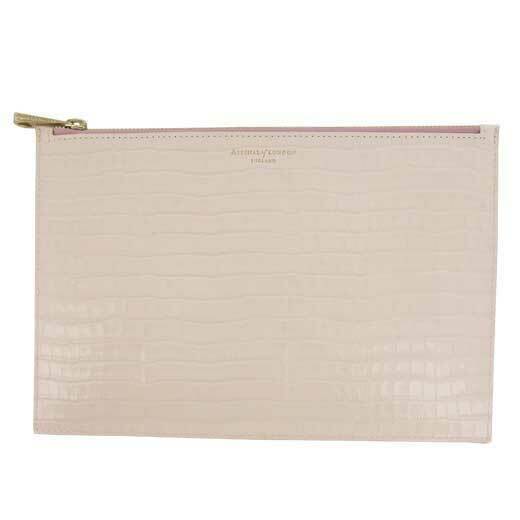 This shell pick pouch is the ideal clutch bag to use when going out for drinks. It's large enough to fit essentials in like a mobile phone or a small purse. This Aspinal of London clutch features a mock croc print giving it a more luxurious feel. Shop here for our collection of clutch bags and handbags. We're all guilty of not replacing our purses often so why not treat your special lady to a new one? 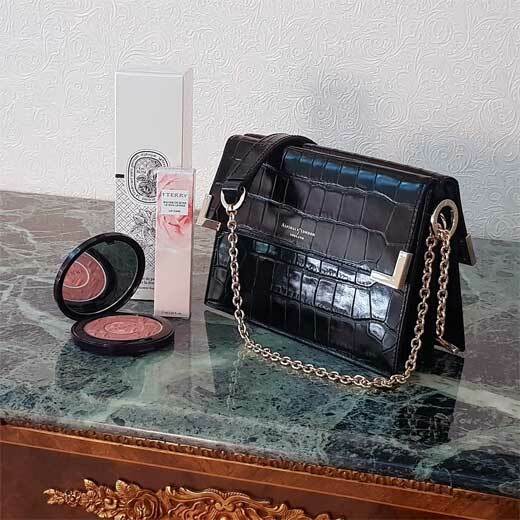 This peony Aspinal of London purse would make a great addition to your loved one's leather collection. Foil embossing is available for this purse if you want to make it even more special. 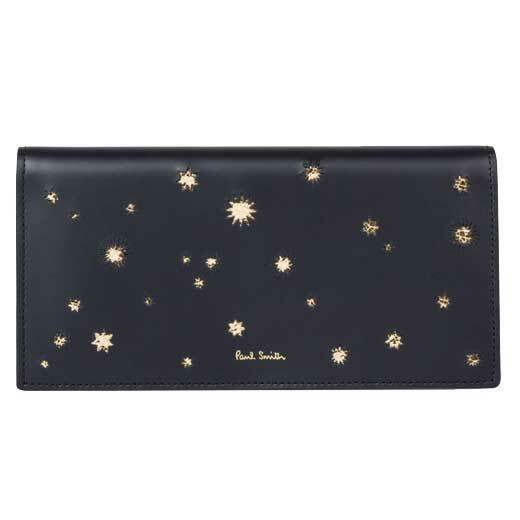 Another great purse we stock is the Paul Smith Tri-Fold navy star purse. This purse is a perfect everyday purse as it can store coins, cards and notes. This would make a perfect gift this Valentine's day. Shop here for our larger collection of purses. Champagne? Champagne is another gift a woman cannot refuse and what could make it even more special is the fact that we offer engraving services here at Wheelers Luxury Gifts. So you can have the bottle engraved to make it even more special. Laurent-Perrier champagne will always be an appreciated gift. 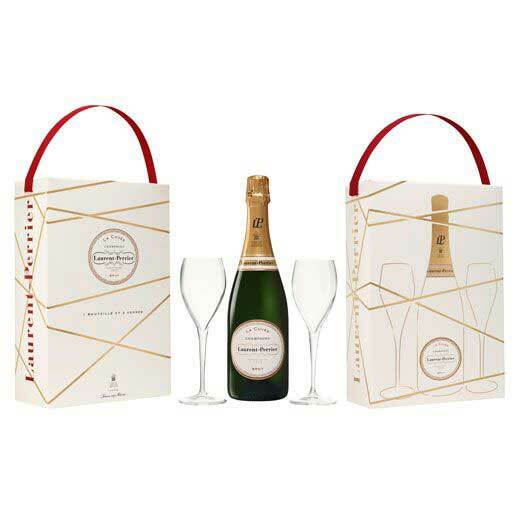 This Laurent-Perrier gift set comes with a 75cl bottle of La Cuvèe and two champagne glasses. This is another Laurent-Perrier gift set that would make a perfect present for a loved one. 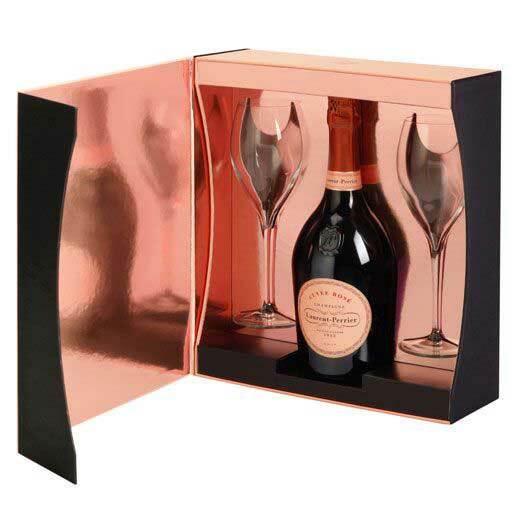 This gift set comes packaged with a 75cl bottle of Cuvèe Rosé and two Laurent-Perrier glasses. Shop here for our wider range of champagne. 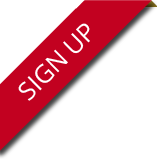 For more information about product information this Valentine's day please contact us.